I was attending a LinkedIn query from a User who was facing issues with GP Utilities & DB Creations. Upon checking his environment by a remote-controlled session, I identified that it was SQL Server Authentication issue, which was denying him to even log on to GP Utilities and move further. It’s very important to understand that GP Application supports only SQL Server Mixed Mode Authentication. What if we accidentally selected (rather left changing the default SQL Authentication option which is) “Windows Authentication”? With SQL Server 2008 (I have not checked this in SQL Server 2005 and earlier versions), we have a very simple way to change it. 1. Open SQL Server Management Studio (SSMS). 2. Login to the respective SQL Server Instance. 5. 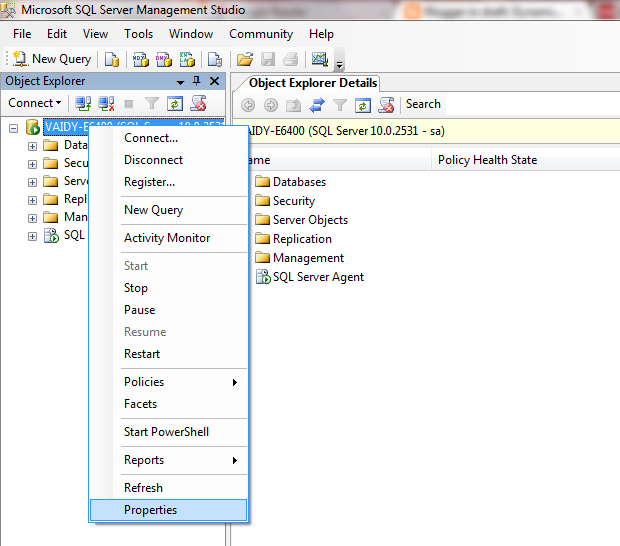 Click on OK and restart the SQL Server service to effect this change. 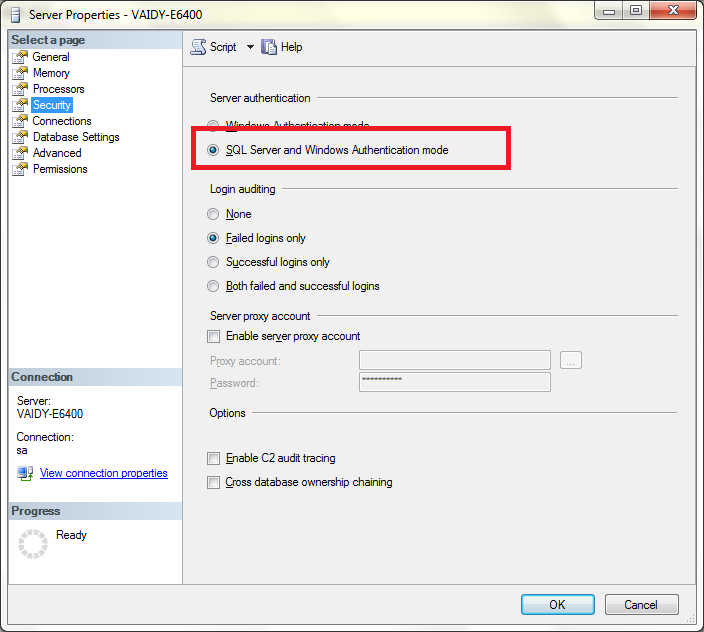 Earlier I remember, I had to uninstall and reinstall SQL Server instance had I selected the wrong authentication mode. I think the version was SQL Server 2000. With SQL Server 2008, you will be saved with an hour or more. Point to Remember: If you enter “sa” and it’s password correctly and still you are invited with a message that reads like “Login failed”, then make sure that SQL Authentication mode is “SQL Server and Windows Authentication Mode”. This entry was posted in GP Administration, SQL, SQL Server 2008 and tagged SQL. Bookmark the permalink.